While we gamers are stuck over here in the sunny UK, scratch that rainy UK, the US is host to Gencon 2013 in Indy. While following the news from various sources, there have been a few stand out exciting announcements. 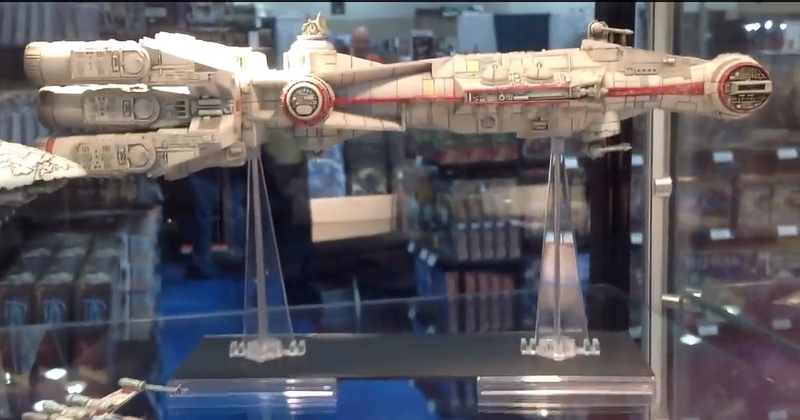 The first I would like to share with you is from the excellent Fantasy Flight Game X-Wing. Yes, that’s right! 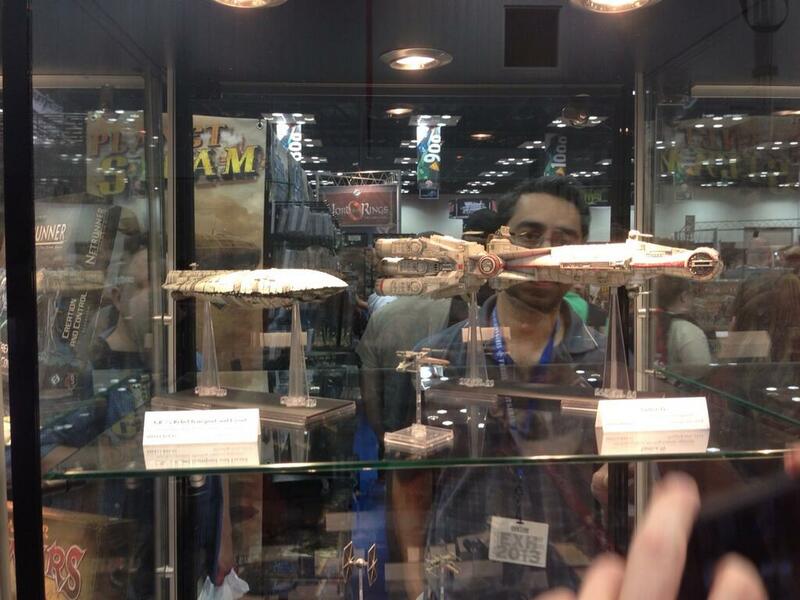 The small X-Wing is dwarfed by Tantive 4 (Corellian Corvette) & Rebel Transport for a WAVE 4 release in early 2014. Here are some more pictures until I have some more news. So another game we have been looking into playing is X-Wing, ZombiePirate and myself have some ships, i have both side and he has just Imperial. So FFG have announced the next wave, wave three. 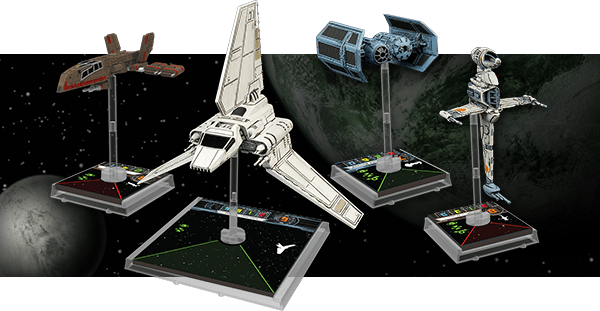 Fantasy Flight Games is proud to announce the next four single starship expansions for X-Wing™! The HWK-290™ Expansion Pack, Lambda-class Shuttle™ Expansion Pack, B-Wing™ Expansion Pack, and TIE Bomber™ Expansion Pack are scheduled to arrive in the third quarter of 2013. Each of these expansions comes with a detailed miniature starship, accurately rendered at the same 1/270 scale as the game’s other ships (as always, we worked closely with Lucasfilm Ltd. to ensure the correct sizes of each ship), and includes multiple ship cards, upgrades, a maneuver dial, and all necessary tokens. 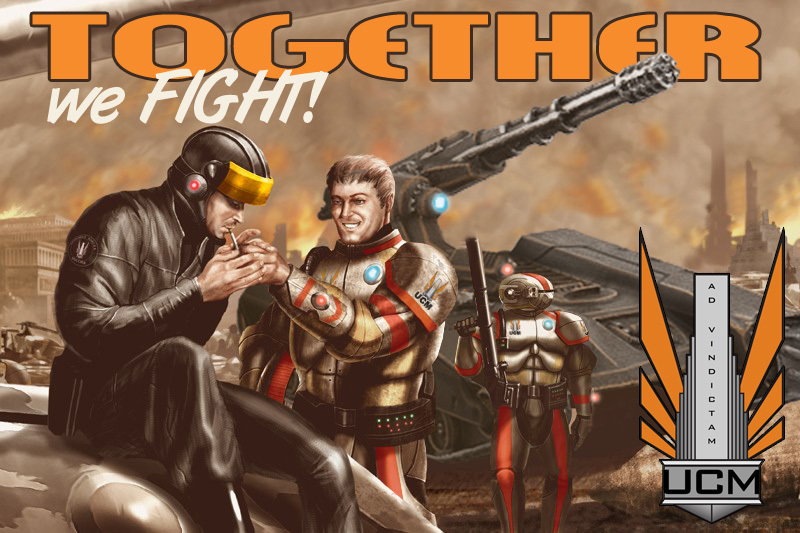 As a group, these starships allow X-Wing players to pursue a wide range of new, tightly focused, squad-based strategies built around their support functions and system upgrades. Both the HWK-290 and Lambda-class Shuttle Expansion Packs introduce an array of support options that clever squad leaders will be able to use to great effect. Designed from the ground up as support ships, the HWK-290 and Lambda-class Shuttle are versatile utility vessels that make your other starships better. 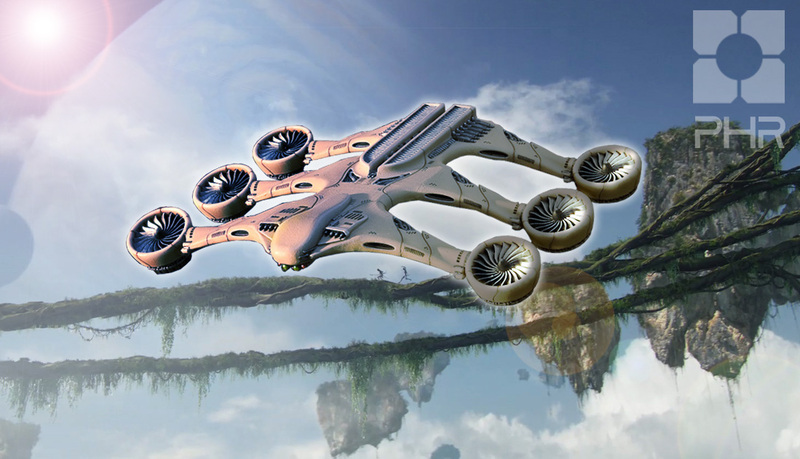 Meanwhile, Imperial fleets gain the support of the new Lambda-class Shuttle. 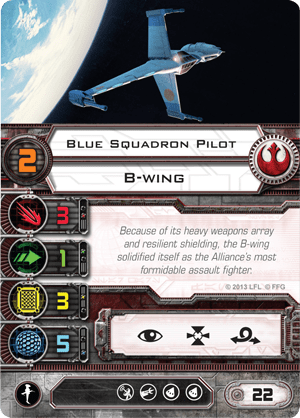 This starship expansion includes four ship cards, featuring three unique pilots who can each provide powerful benefits to their squad mates. 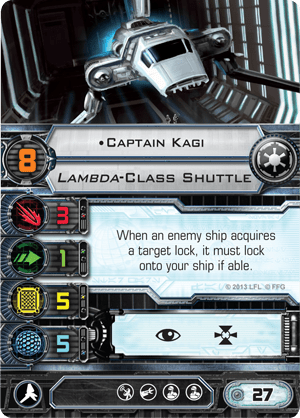 As an example, Captain Kagi can divert enemy target locks from your other ships and force your opponent to fire against his shuttle and its five shields. The Lambda-class Shuttle is highly customizable, too, as each one can carry up to two crew members, one cannon, and a system upgrade. 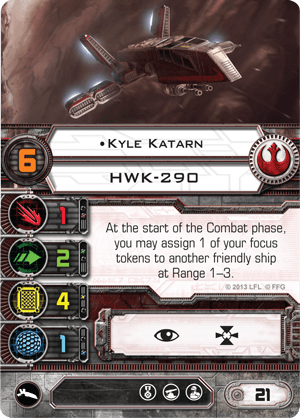 Pair Captain Kagi with a Rebel Captive, and you may discourage your opponent from trying to establish target locks and fire missiles. The expansion comes with a total of twelve upgrade cards. Also new to this wave of expansions is a new type of upgrade, the system upgrade (). 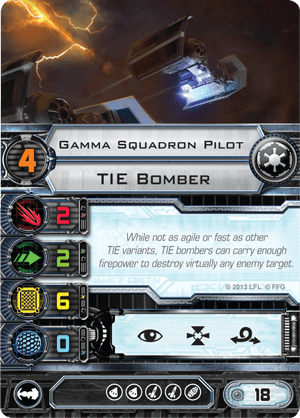 System upgrades appear with both the Lambda-class Shuttle and B-Wing Expansion Packs, and they give players more control over the game by reducing the potential risks inherent in random dice rolls and an opponent’s unpredictability. 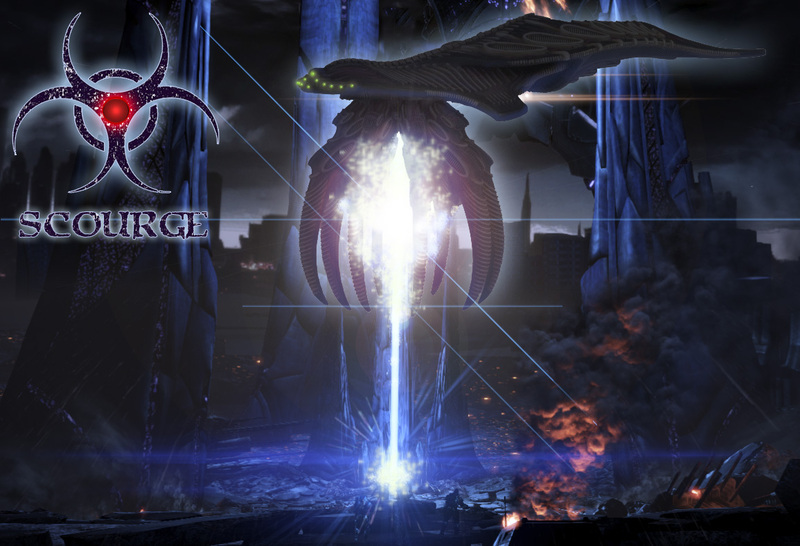 For example, when your ship is defending against an attack, the Sensor Jammer allows you to convert one of your opponent’s results to a result that cannot be rerolled. Be sure to see our coverage of system upgrades in upcoming previews. Another exciting group of ships and out third medium sized based ship to add to, Slave One and the Falcon. 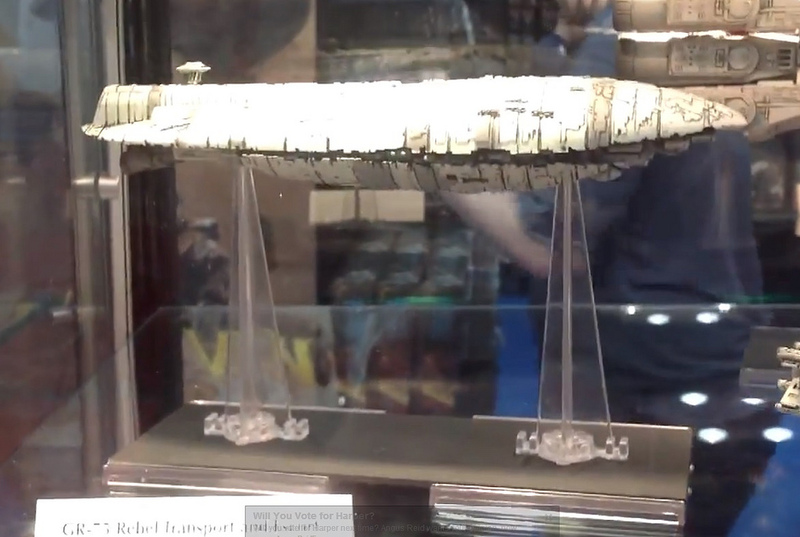 Interesting to see the first ship not from the classic movies, Kyle Katarn’s signature starship “Moldy Crow” featured in the games and books. This is an interesting turn of events for FFG and fans alike. What will come next??? Until then we have to wait and see how these excellent looking ships with effect the game. Wow, been busy lately… After posting that War was Declared, got a test game of Bolt Action in and have been for a great day at Salute. It seems that the groups attention has wondered over to Drop Zone Commander which is not a bad thing, I am really looking forward to getting into that game again, or rather make a start. But I still have the WW2 bug at the moment. 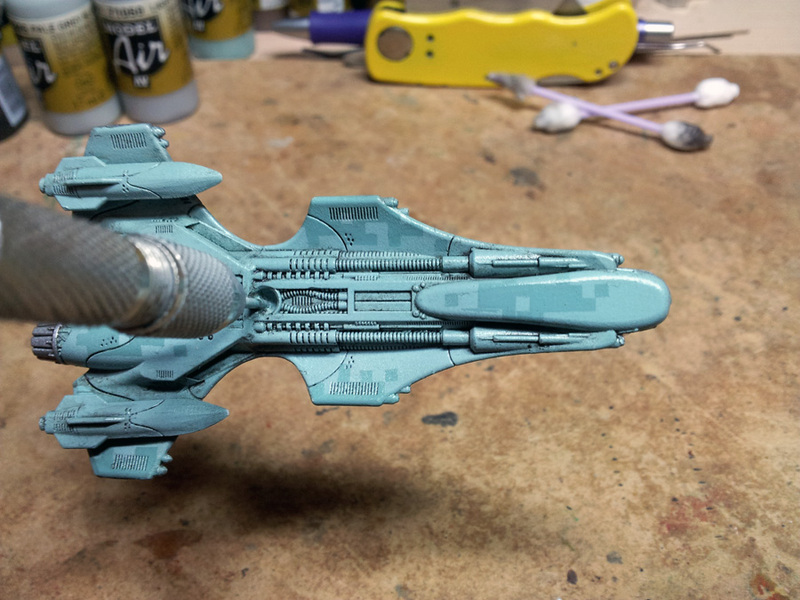 So I have been painting up some SS miniatures and a Puma. 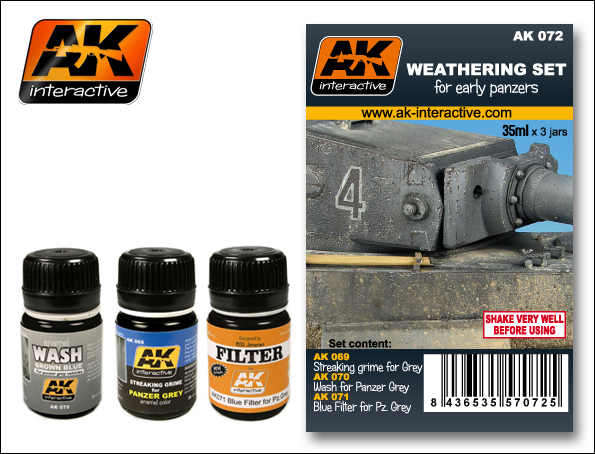 I have now added 2 coats of filter from AK Interactive and added a pin wash and then tided it up a bit. 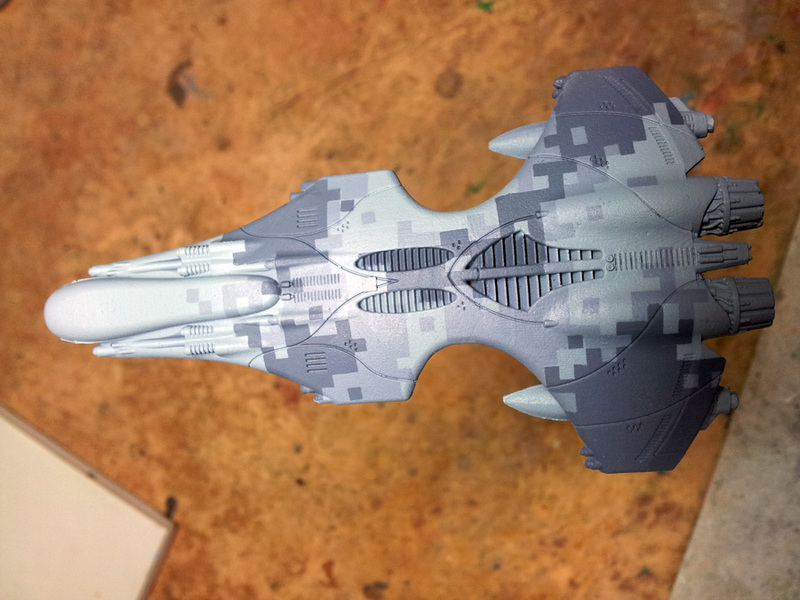 The next stage is to add some paint chipping and light scratches, until you are happy with the amount. I have added a fair few I can imagine that the Puma is thrashing its way though under growth and sneaking into the woods and towns scouting for Allied armor. The colours should tone down a bit more. I may add rain streaks, still have mud and dust to add. I have not used any of these products before, I normally just did drybrush and ink was but want to try and paint it like modelers do. I don’t want it plastered just some stuck under there from usage. So I have now been working on the crew, I wanted a crew of 2 for this one. The commander exposed commenting to the gunner who has just his head exposed, sort of a narrative. 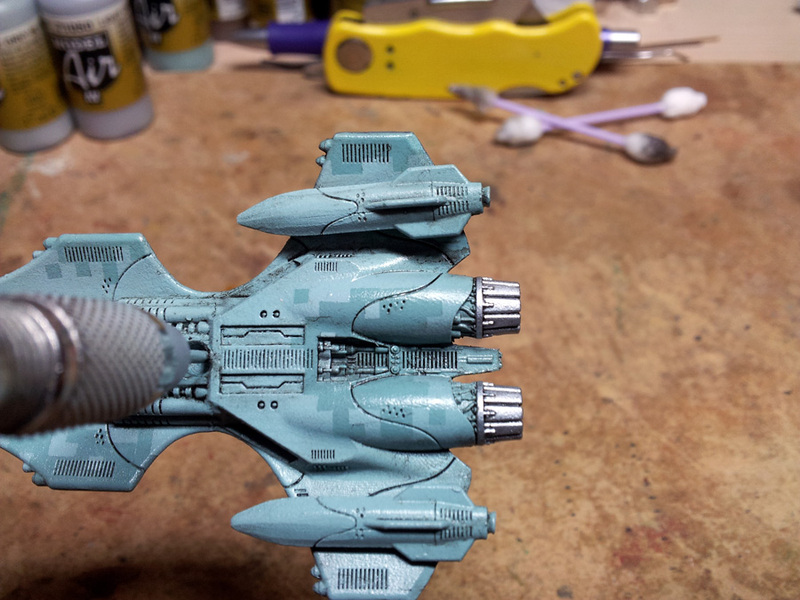 Here you can see the excellent decals from Warlord I picked up at the Salute show in London, I used two eagles and an officer rank Untersturmfuhuer. Excellent decals. I used Micro Set and then added a little Matt varnish. Well I think I am finally there. I took advantage of the nice weather and took some photos. I am thinking about adding some foliage? What do you think? As some of you may have noticed, it’s been mighty quiet, from me certainly. 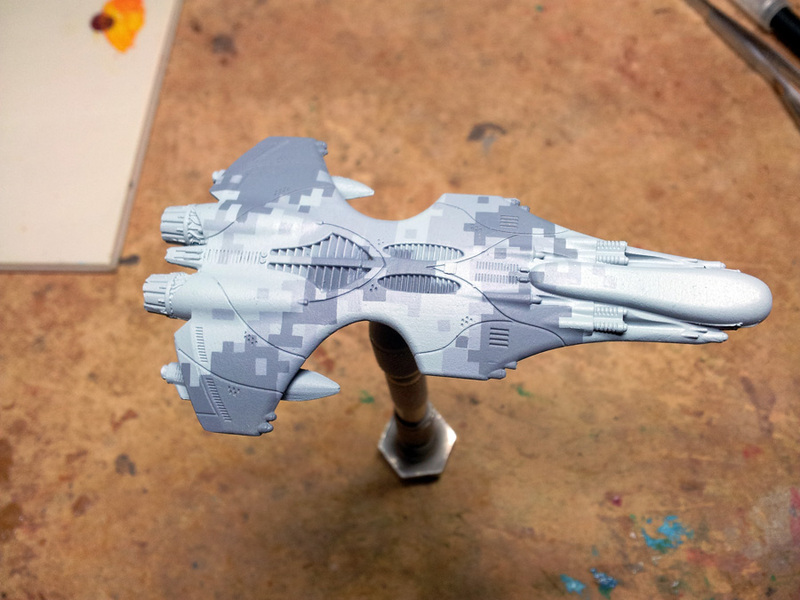 After all the buzz around DropZone Commander I have still failed to get a game or paint anything, it’s been nearly a year since we first saw them at Salute, which is on again 20th April. 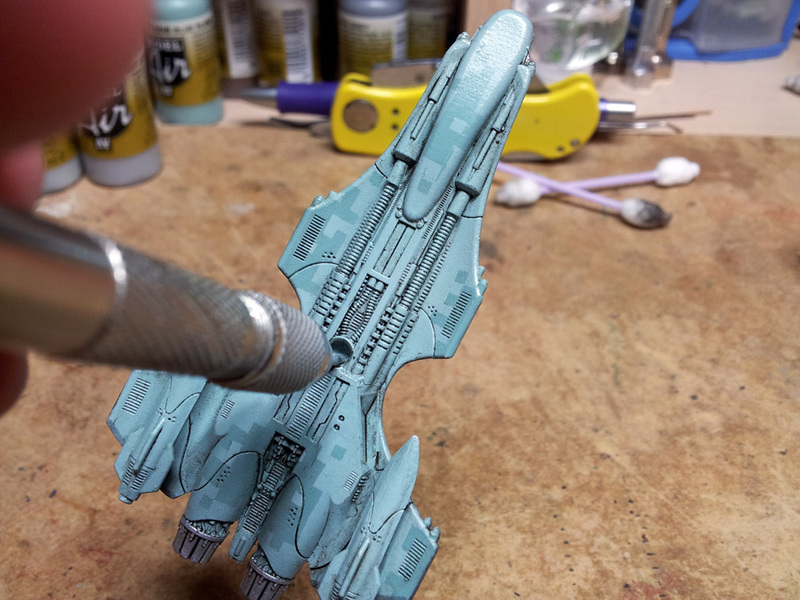 Since then I have been concentrating on board or pre-painted games, I know heresy. Although I do love X-Wing, more on that later in another post in the future. So after a few conversations with my fellow 6inchmove gamers we have decided to do some small scale games. 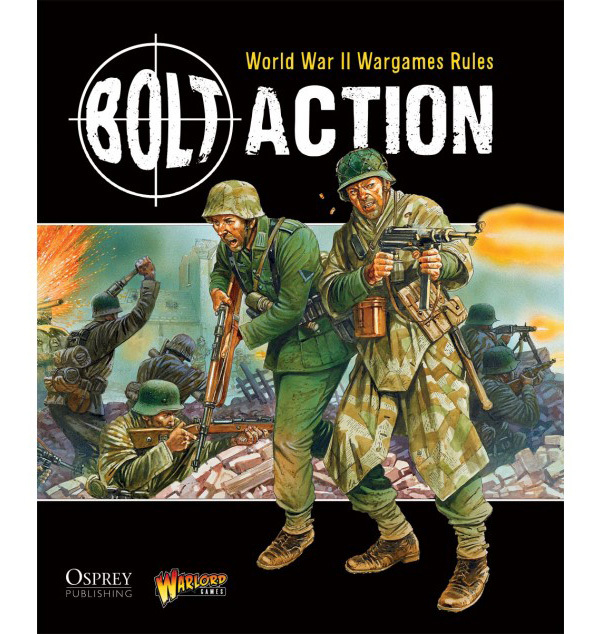 After a bit of discussion we decided on WW2 and the bolt action rules. While not the most accurate in the world and perhaps stylized in the vain of the great GW monster, and army list based over scenarios, I agreed. I have been a fan of the period since a small kid playing with Airfix models and soldiers. I have looked high and low for decent Waffen SS minatures and came down to a choice of Artizan Designs and Bolt Action from Warlord Games, I went with Artizan as they IMO just looked cleaner and nicer overall. However I noticed they did not actually do Waffen SS miniatures but do late war Germans instead. So I went with those. A thing to note about them is that although they do wear smocks they do not have helmet covers, most SS units were issued with helmet covers, so I plan to sculpt some of my own. So I am now busily painting away, trying to catch up with servitob and his Yanks. Being a huge WW2 fan and loving German armour (Although not the early period) I had similar products for the Tricolour systems from Mig Productions, so to try the AK Interactive ones made by MIG was a natural step. A lot of people seem interested in how I do my Digital patterns, well it’s no real secret I just use a mask and many thin coats via an airbrush. I think I may have to do a tutorial, if enough people are interested. 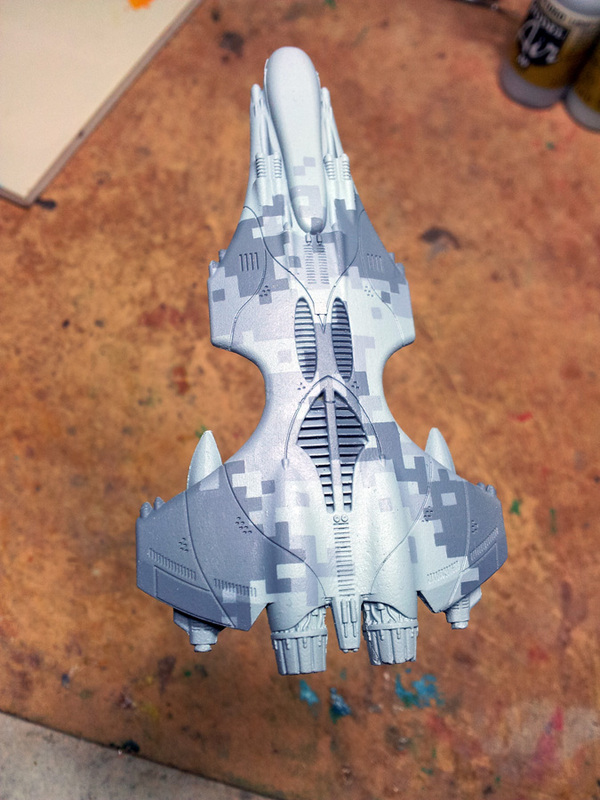 So following on from ZombiePirate’s post, I thought I would add some images of a work in progress on my version of the Athena. I got this miniature off Dave when we went down to playtest the game and is not from my Mega Premimum I brought. So my thought has always been to do a Digital cammo style for the PHR I thought it would suit them, especially as they are cybernetic. So I was torn on colour choice, desert style like the original’s painted by Dave, greens and browns for a more woodland style table. I decided to go with a desert sandy colour. I liked some of the colour choices, I didn’t like how I ended up with a ridge because I had put down to thick a layer of paint, it’s also hard to get all the lines to well line up together. So overall while i liked it I didn’t love it. So my next plan was to strip it down, which I did in a Dettol bath (it strip fine, no problems BTW) and re-primed for my next attempt. Before doing so I considered dropping one of the colours, also making the pattern of colours a little larger or more blocky (my word for it) but how to do this. I started looking around on the web, as you do looking for inspiration and got a test game in with ZombiePirate and realized that most game are on city terrain types. So desert would not be the most effective cammo, urban would! So I looked around at urban style cammo on Google, found some I liked. 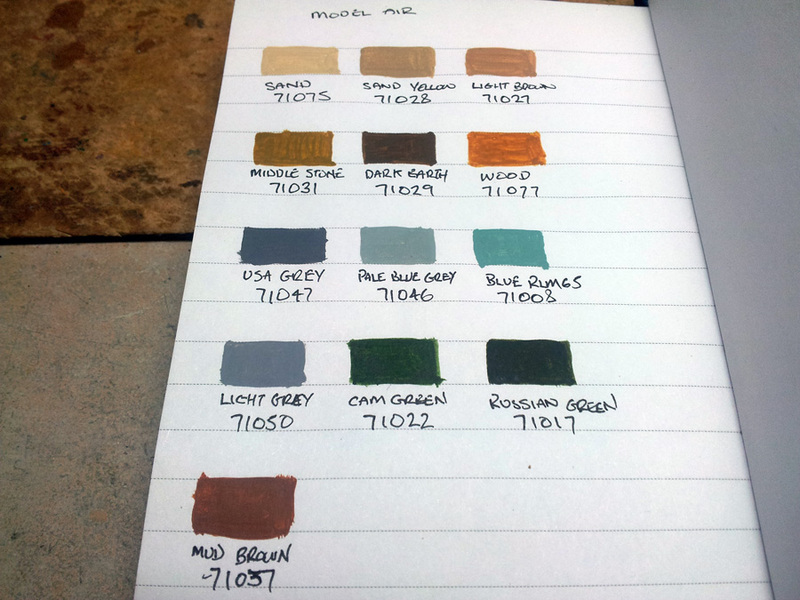 To make sure I paint with the right colours I have a painting book, a little book with which I write any recipes of colours used and paint in little swatches so I can see what the colours look like before painting. I did the same for the urban style I was looking at, it’s on the same page as the desert colours I used if you are interested from the Model Air range. I have to say I was really pleased with the colour choices, they seemed to work very well, even better in person. I was also pleased with the more “Blocky” style this seemed to work a lot better. 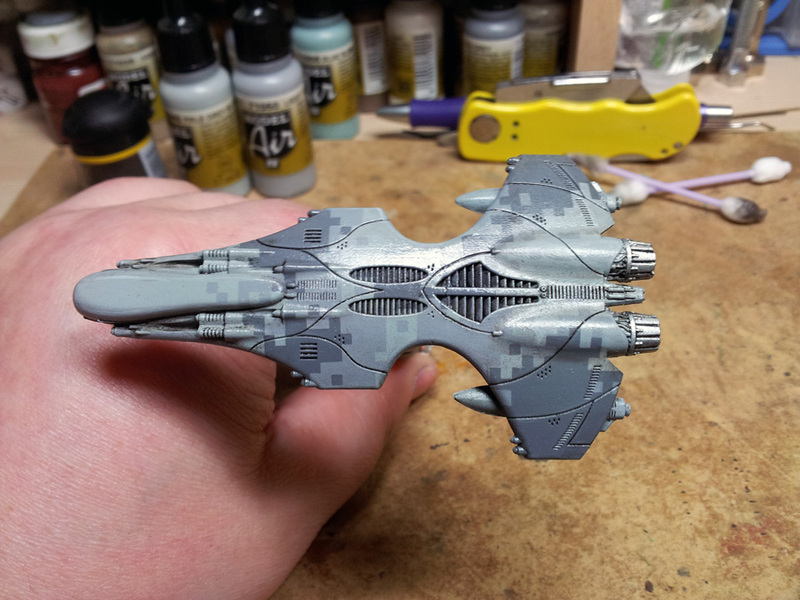 DropZone Commander – Just for fun! Well it’s been a while since my last post this is mainly due to a series of a bad luck, my hard drive dies on the PC, good old RAID Stipe kills 2TB of content and files. Work has a net issue effectivly cutting me off from the web anywhere other than on the xBox. How did we cope with out it?